So another childhood star gets in trouble…What a surprise. Justin Bieber, who was not so long ago known for his songs and crazy girl fans, is now known for his reckless driving, drinking, smoking marijuana, vandalism, and resisting arrest. Now adding to the list of negatives Bieber might be deported. If Bieber is convicted of these crimes he can possibly do more than a year in prison. Although the star will most likely not get deported by the courts, Bieber is not an American citizen and lives here by a visa. 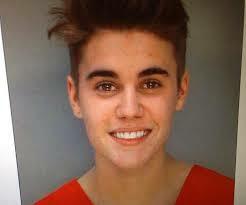 This means that if convicted Bieber could have problems renewing his visa later. Bieber still has his crazy fans full support for him to stay free and in the country, yet there is also the opposing side that wants Bieber to do his time for the crime he’s committed, and to be deported. A petition with WhiteHouse.gov was created for Bieber to be deported. This petition got so popular even senator Mark Warner joked about signing it. Soon after his joke, the Petition hit the 100,000 mark at the end of January. Since this has happened the White House will now have to respond to the petition. As of Fenruary 5th, the petition has a total of 250,000 signatures. Although Justin Bieber is 19 years old and should know right from wrong, he is still young and being deported and put in prison for over a year is a little much. The star should have a punishment for his crime just not too severe because we all make mistakes we regret.